EASY! Fuse and trim, then sew and turn! Great for school classes! Many schools order this pattern for their Vocational, Home, and Career classes! Perfect for fat quarters! Just 2 fat quarters per bag! 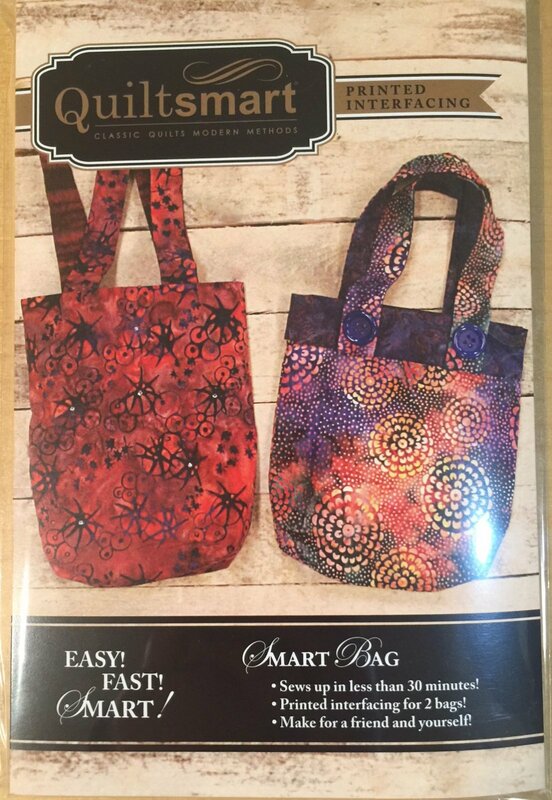 Includes instructions and Quiltsmart printed interfacing for 2 Smart Bags (1 bag per panel, 2 panels per pack). Variations available in our Free Downloads section (turquoise button)! Variations include extended strap, heavier cushioning for a small tablet, and the diagonal fat quarter pocket!